International Teachers of Pop have released a new single. 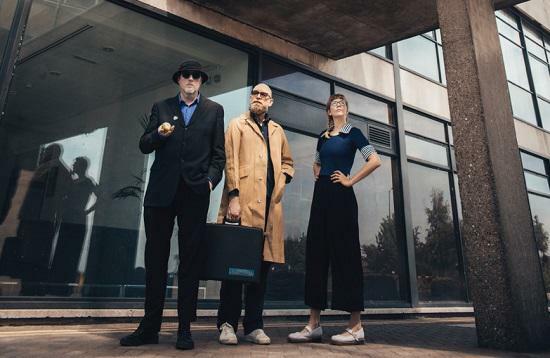 The group, which formed in 2018, contains Adrian Flanagan and Dean Honer (of The Moonlandingz, the Eccentronic Research Council and more) and Leonore Wheatley (of The Soundcarriers and Whyte Horses). You can listen to geekily danceable single ‘Age of the Train’ below. IToP have appeared live alongside Jarvis Cocker this year, opening for him in a cave known as ‘The Devil’s Arse’ and are playing a number of live shows throughout the remainder of July and August, including a free date at The Social in Soho tomorrow night. For free tickets, click here.